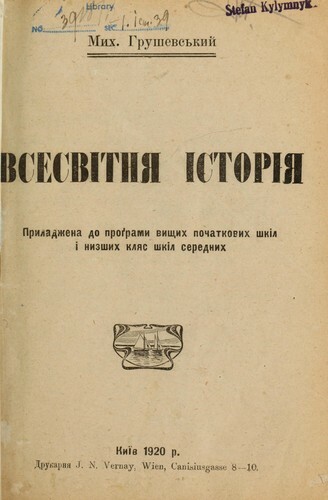 1 edition of Vsesvitni͡a istorii͡a pryladz͡hena do prohramy vyshchykh poc... found in the catalog. Add another edition? Are you sure you want to remove Vsesvitni͡a istorii͡a pryladz͡hena do prohramy vyshchykh pochatkovykh shkil i nyzshykh kli͡as shkil serednykh from your list? 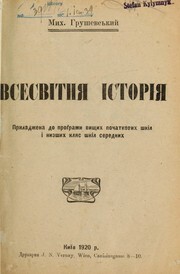 Published 1920 by Vydannï͡a Dniprovsʹkoho Soï͡uza Spoz͡hyvchykh Soï͡uziv Ukraïny ("Dniprosoi͡uz") in Kyïv . April 1, 2011 Created by ImportBot Initial record created, from Internet Archive item record.